This post on saving money tips my moms taught me is sponsored by Suntrust Bank. All words and opinions are my own. Growing up, I was raised by many different moms who made me who I am today. While the entire month of May is a time to reflect upon and celebrate mothers, it is a time I stop to reflect on how my mom, and the mother figures I’ve had, have impacted my life. Moms impact our lives, but they also impact our relationship with money- how we see it, how we use it, and how it makes us feel. 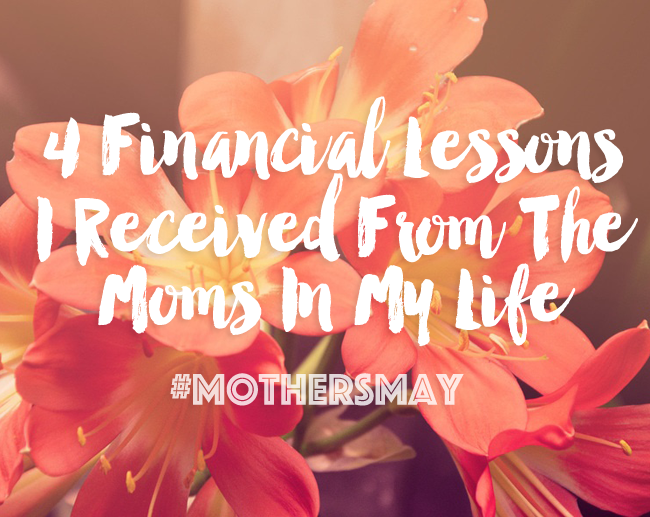 My mom, and the other “mom figures” in my life helped form my relationship with money and truly set the foundation for my writing and my frugality later on. 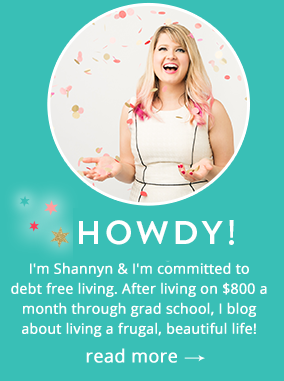 Most of you know that I am committed to debt free living- at least when it comes to consumer, car and student loan debt (housing and medical debts are another story). Where did this come from? Growing up, I remember the phone constantly ringing, and being told to tell whoever was calling that my mom wasn’t home. I later learned that the people who would call several times a night were creditors looking to collect on debts. Those calls left an impression on me from a young age, that debt can be its own form of prison. I now have an allergic reaction to debt and fortunately have never gotten into a credit card hole because of it. While I sometimes wonder if I miss out on the fun stuff other folks do, avoiding debt is ingrained in me at this point. You ever wonder how some people who you think make the same amount of money seem to way more than you? I learned from a young age that there is a difference between wealth and a credit limit. In our household, using credit was a crutch to display to everyone that things were fine at home, though it was all just an elaborate mirage. “Stuff,” cannot fix problems at home, and I also began to recognize that sometimes someone with the best stuff is overcompensating to distract from pain they have inside or problems they want to avoid. For my mom, shopping was a coping mechanism and her credit card was an enabler for her to build a wall around herself with things. Eventually, as we see with hoarding and with debt, we can build walls around ourselves, but it keeps as many people out as it does in keeping our problems trapped beside us. When I left home at 16, I had an unhealthy attachment to things, and it took years of work and my grandma’s influence to unpack my attachment to physical stuff as a coping mechanism. When I was 16, my Gram and I moved in together and I will tell you, it was a hearty clash of culture. Gram and I were both very stubborn and she especially had a way of doing things, where I was a typical teenager who wanted to sleep in and would be lucky if she found a pair of clean socks in the laundry pile that never got folded. 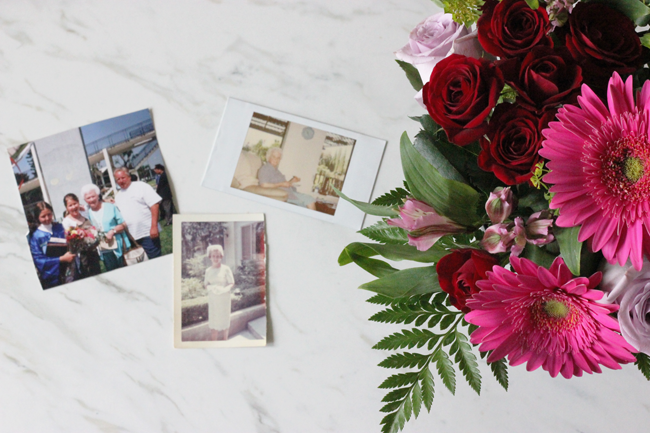 By the time I was 20, I was taking care of Gram after she had suffered a stroke and needed more help with basic tasks like going to the store and getting to the doctor. Gram knew if something happened to her, I would have to be prepared, and she spent time (much to my chagrin) going over her finances with me and familiarizing me with basic concepts so I could take over in a pinch. When Gram had a stay in the hospital near the end of her life, I learned how vital it was to save for an emergency. Even with “good” insurance and Medicare, a surgery on her wrist that escalated to a stay in the ICU took out a solid chunk of her life savings. I learned to be prepared, and to prepare my family to be empowered to give me the best care if needed. I had many “moms,” growing up who pitched in when I wasn’t able to get the support I needed at home. I look back at a time when my friend’s moms or volunteers went out of their way to be sure I was included in after school activities, or I needed help planning for college- they were there for me without judgement or seeing me as a burden. Because other women took me under their wing, I was able to get the advice and help I needed to go through the college application process, apply for scholarships and set myself up for success. Now that I’m approaching 30, and I have a bit more wiggle room in my budget, I do my own form of tithing to causes I care about. There is not a day that goes by that I’m not amazed at how far I’ve come and how truly blessed I am to have the bounty of blessings that has come my way because of the mothers in my life. I’ve been fortunate enough to learn from both the good influences and the bad memories, and feel lucky that both have informed my sense of self and my relationship with money in a way that’s been freeing as an adult. To all the moms out there- never underestimate the impact your life has on others, even those that aren’t your biological children. Being a kind neighbor or a volunteer with a youth organization could seriously impact another child’s life and help them in ways you’ll never even get to see, but know it matters. As I build my life going forward with a happy and healthy relationship with money, and a spirit of giving that’s baked into all I do, I feel so grateful for the guiding light of moms who helped me get to this place. Our sponsor, SunTrust Bank wants to spread the word about financial empowerment and wellbeing with your money. When you’re confident about your savings, you are able to let your money reflect your values and live life on your own terms. The onUp movement was founded to guide millions towards a more financially confident life without ever losing sight of the moments that matter along the way and the priorities that keep us motivated. If you’re looking for some lessons & advice when it comes to your money, sign up for onUp Movement to help get you and your money on the right path.